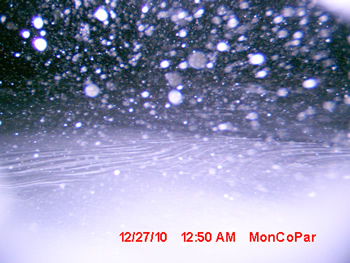 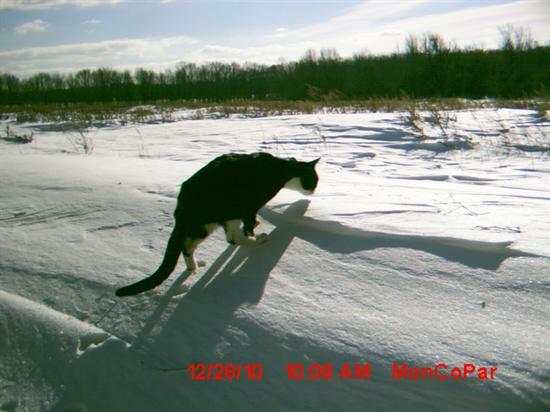 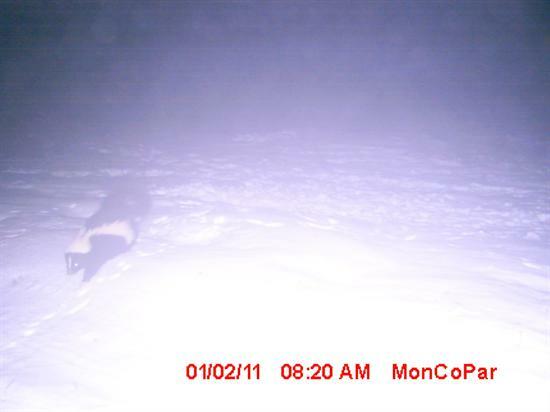 The images were captured with an unmanned motion sensor camera over a period of 8 days from late December, 2010 to early January, 2011. Click on each image to make larger. Blizzard rages through Dorbrook’s open fields. 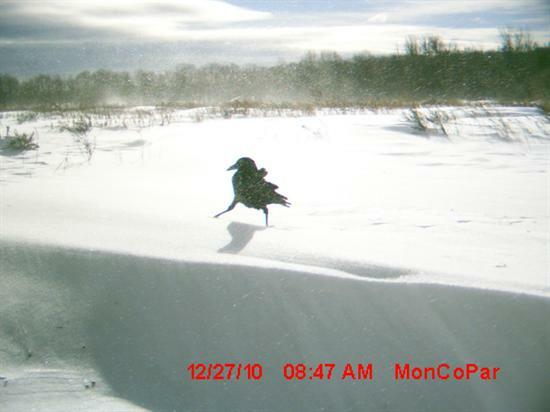 A crow investigates the area, perhaps smelling the deer carcass below the drift. 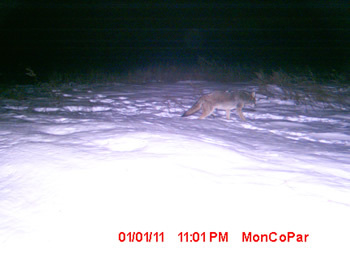 A feral cat bounds by. 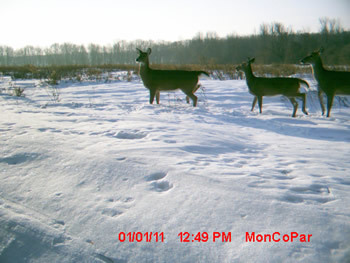 Resident deer on their daily foraging rounds. 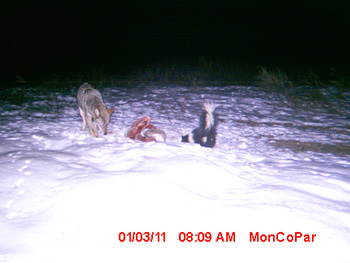 The first Coyote appears, drawn by the carcass. 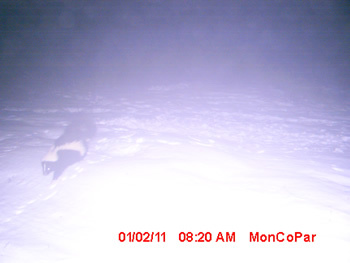 A Skunk is looking for a meal. 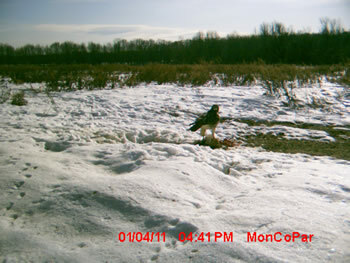 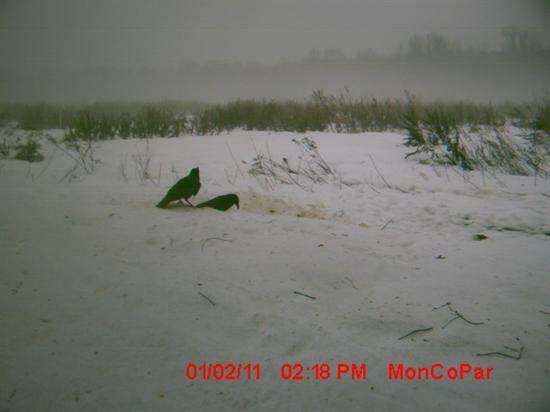 A Red-tailed Hawk scavenges the remains. 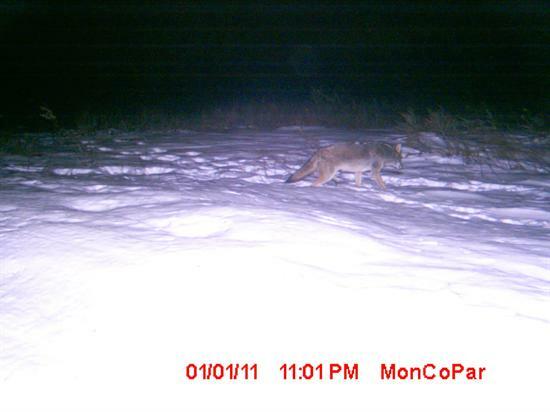 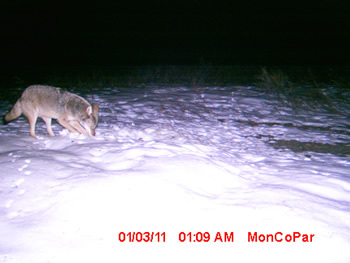 On a subsequent night, a Coyote returns. 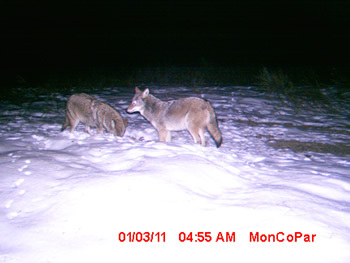 He is soon joined by another. 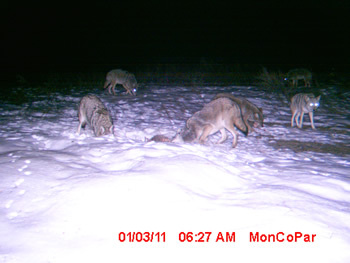 Within moments there are six Coyote. 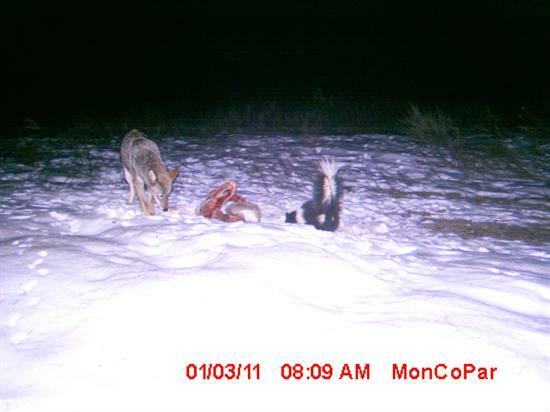 The Coyote shares its meal with the returning Skunk. 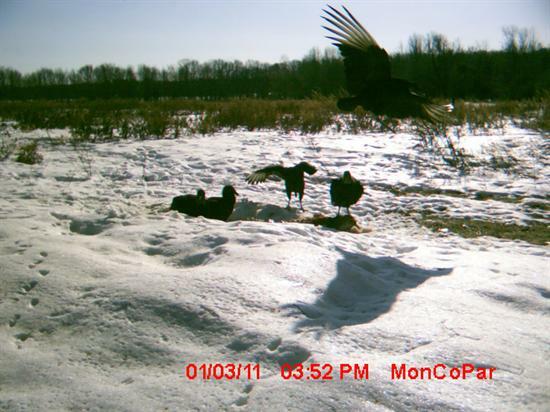 Daylight brings the consummate scavengers, Black Vultures. 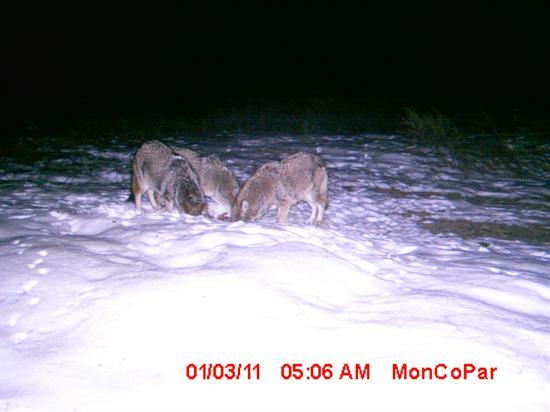 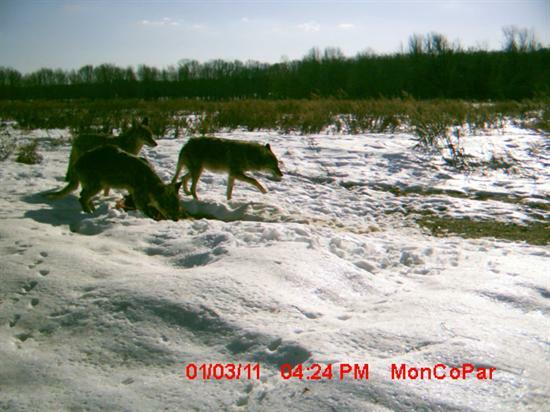 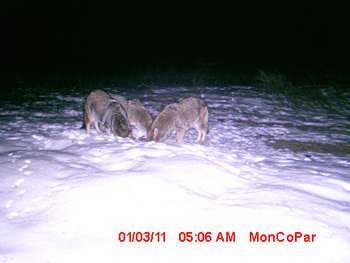 Coyote resume their feeding in the daylight. 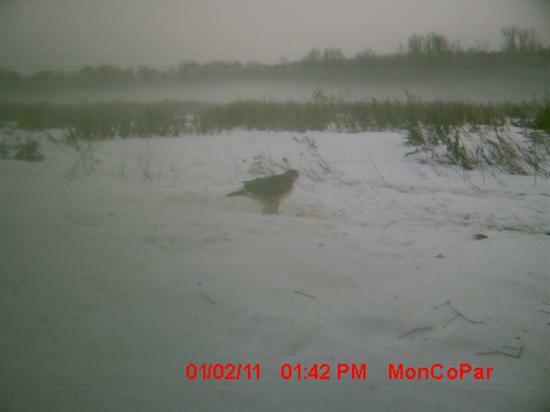 The Red-tailed Hawk returns for scraps.